LOS ANGELES (Dec. 7, 2015) – Multi-platinum selling artist Chris Brown today announced the ROYALTY LIVE concert series in support of his upcoming album, Royalty, due out on Dec. 18 on RCA Records. Chris will hit the stage at the Aragon Ballroom in Chicago, IL on Dec. 13, The Masonic in San Francisco, CA on Dec. 16 and the Palladium in Los Angeles, CA on Dec. 18. Tickets for all shows go on sale Tuesday, Dec. 8 at 10:00 a.m. local time at www.livenation.com. Every ticket purchase comes with a physical copy of Royalty. For every ticket purchased that comes with a physical copy of the album, a $1 donation will be made to the Children’s Miracle Network Hospital and Best Buddies. 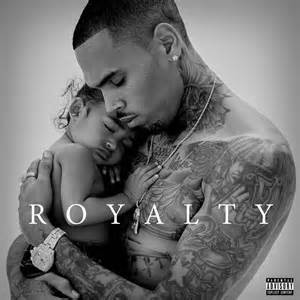 Royalty is the seventh studio album from Chris Brown and has already produced hit singles including “Liquor” that peaked at #3 on the Billboard R&B/Hip Hop Airplay chart. Join the conversation at #RoyaltyLive. GRAMMY Award®-winning singer/songwriter Chris Brown made his sixth #1 album entry on the Billboard R&B/Hip-Hop chart with the release of 2014’s X (RCAS Records). The album also debuted at #2 on Billboard's Top Albums chart, marking his sixth album debut within the Top Ten. X sold over 140,000 units in its first week and has since sold over 400,000 copies. Earlier in 2015, Brown released his first collaborative studio album, Fan of a Fan: The Album, with Tyga. The album debuted in the Top 10 on the Billboard 200. Chris recently wrapped up his sold out One Hell Of A Nite Tour earlier this summer that played to nearly 300,000 fans across North America. With an ongoing list of chart-topping albums and singles and hugely successful tours, Chris remains one of today's most influential entertainers.